A Beginner’s Guide to War Thunder – Which Country Should I Play? | Killed in a Smiling Accident. A Beginner’s Guide to War Thunder – Which Country Should I Play? There are no terrible choices when it comes to picking a country to play in War Thunder, each one has strengths and weaknesses. If you’re feeling patriotic you can go for your own nation (if it’s in the game) or if you have a particular favourite aircraft then go for the appropriate country and work up to it (or enjoy it right away, if you happen to be especially keen on the P-26 Peashooter). It’s not as if you have to religiously stick to playing one country either, playing two or three (or all five) countries is good for mixing up play styles to keep things fresh, learning about the strengths and weaknesses of a variety of planes, and allowing aircraft of one nation to repair over time while playing another. The following only covers aircraft, I’m afraid I haven’t really been keeping up with the relative strengths of tanks. 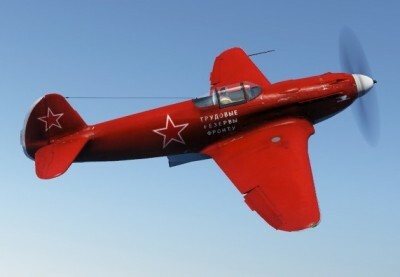 If you have no strong preference then starting off with the Soviet Union isn’t a bad idea; you get a bonus premium aircraft for the first country you fly with, and the I-153 that the USSR get is a great plane, very handy to be able to put straight into service without having to research and unlock it. The Soviet tech tree is extensive, with a couple of decent lines of fighters and good jet options in the end game with the MiG-17 fighter and Il-28 bomber. They have a wide range of light bombers/ground attackers, including the iconic Il-2 Sturmovik, and both medium and heavy bomber options. About the only area they’re really lacking are heavy fighters, the Pe-3 series are pretty lacklustre, but the Yak-9T/K with 37mm and 45mm cannon respectively are brutally effective against bombers. Britain is another good option for starting players, with some excellent fighters once you get past the biplanes. 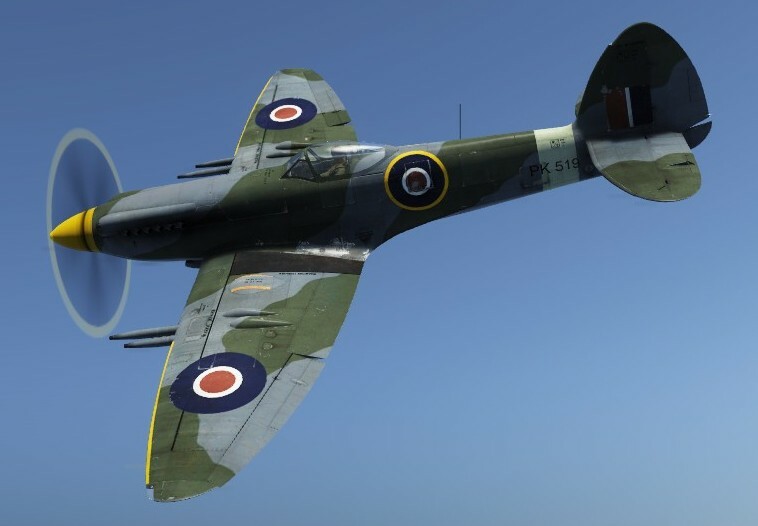 The Hurricanes are an early workhorse, Spitfires are highly manoeuvrable and well suited to turning dogfights (except against the Japanese) and the Typhoons and Tempests have good speed and firepower. Their jets struggled a little at the top end when only the Meteor was available, but the Venom and Hunter are more powerful post-war options. For bombing the Blenheim and Beaufort are fine in Rank I, but things tail off a bit with the Wellingtons in Ranks II and III, which are rather vulnerable to the cannon-packing fighters they almost invariably come up against, then pick up again with the two Lancasters that, thanks to Update 1.43, can now carry some of the heaviest bomb loads in the game as they did historically, and the Canberra jet bomber. You also have plenty of torpedo bombing options, starting very early with the venerable Swordfish, but without being able to specifically choose maps featuring shipping targets it’s a roll of the dice as to whether you can actually use them – at least until naval battles might be an option! The USA takes a little while to get going. In Arcade mode particularly the favoured US armament of .50 calibre machine guns are at a bit of a disadvantage once everyone else is tooling up with 20mm cannons; though .50s certainly can be effective, especially with later incendiary rounds, you’ll generally need to get more hits in to bring something down, increasing the likelihood of someone else “helpfully” swooping in on your target. The 37mm cannon of the P-39/63s perhaps overcompensates, though, it’s devastating when it hits, but the slow rate of fire and high recoil makes it a little trickier to use, better suited to bomber hunting than fast moving dogfights. The USA have some strong later fighters, and a good selection of jets including several F-86 Sabre variants at the top of the tree. They’re a sound choice for heavy bombers with three B-17 variants and the B-24, sacrificing bomb load compared to the British Lancasters for more defensive turrets, then the B-29 with the largest bombloads in the game, though it’ll take a while to get up to mid-Rank III to start researching them; along the way the A-20 and B-25 are decent medium bomber/attackers with plenty of machine guns for strafing. The F6F and P-47 fighters are also notable for the quantity of ordnance they can carry for ground attack if you like a fighter/bomber role. Germany also has strong fighters in the mid-to-late game, but their Rank I options tend to be sluggish, lightly armed or Italian (in some cases, all three); I’d suggest getting the hang of the game with other countries first. Things pick up markedly in Rank II with the introduction of the Bf 109 and Fw 190 series, and they also have the widest range of rocket and jet fighters. Initially there’s a selection from World War II (the Me 163, Me 262, He 162 and Ho 229 “flying wing”) which are in a slightly awkward place for matchmaking, where they outperform Allied propeller-driven contemporaries but are inferior to post-war Soviet and US jets, so to give Germany a viable end-game option Update 1.39 added both a Canadian-built Sabre and a MiG-15, as operated by the West and East German air forces respectively in the late 1950s. Germany also has a good range of heavy fighters from the Bf 110 to the Me 410s, and plenty of early bombing options with numerous variants of the Ju 87 Stuka for dive bombing, and the He 111, Ju 88 and Italian S.79 series of medium bombers. 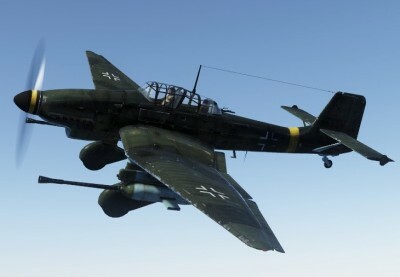 There aren’t any heavy bombers later on, though the Do 217 series of medium bombers can carry pretty heavy loads once upgraded and deliver them with precision in a dive; at the top of the tree the Ar 234, the first operational jet bomber, has its historical advantage of speed somewhat negated, as it usually faces jet opposition. 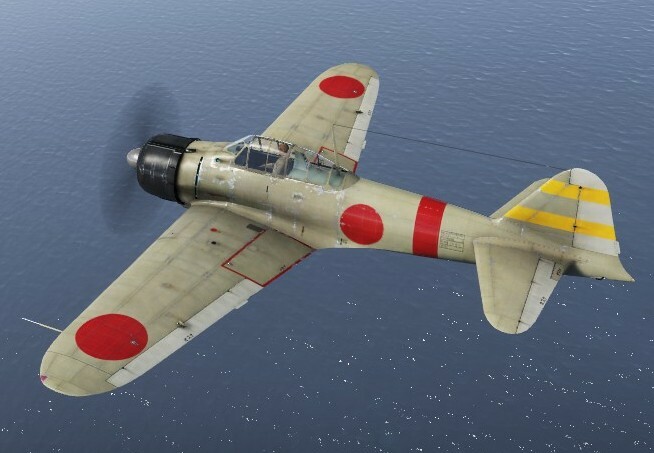 Japan has the most agile fighters in the game with the nimble Ki-43 and the A6M Zero line, though they are a bit fragile. The later Ki-84 and N1K are good all-rounders, and there are also heavier options with the big-cannon packing Ki-45 and -102 heavy fighters, handy for taking down enemy bombers. Bombing-wise the H6K is quite a fun early bomber to start with, it carries a large payload for a Rank 1 aircraft, can absorb a lot of incoming fire (especially from small calibre machine guns) and has plenty of turrets including a 20mm cannon to ward off attackers; the downside is that handles like a boat with wings, probably because it *is* a boat with wings. Going up the tree the later bomber line is a little lacking in terms of payload, but turrets with 20mm cannon at least give them a bit of a defensive option. The Japanese tree is a little sparse, the smallest in the game, and Rank V has to be padded out somewhat with prototypes and experimental designs due to the lack of competitive late-war historical aircraft, though at least Update 1.39 gave them a viable end-game option in the form of another Sabre that saw post-war service. Yes, I’m afraid it’s a couple of years out of date now; I’ll try and find the time to update it for France and Italy.